The worst thing about the Internet of Things is all the runaway things: They’re difficult to find once your collection exceeds, say, 20 or 30 things. So now there’s this new object-tracking gadget called Pixie that helps you catalog all your wayward stuff, and then hunt it down with pinpoint accuracy. Each “Pixie Point” is shaped like a guitar pick. 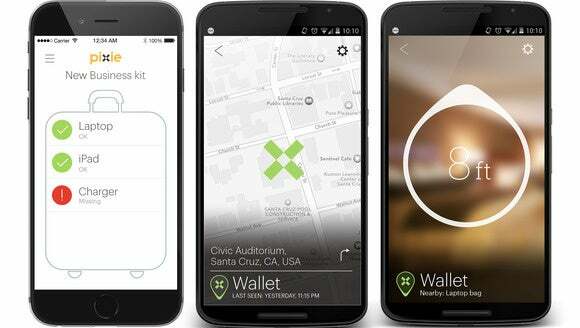 You attach them to your most essential things to create a “Location of Things” network. That’s right: This is a “LoT” product because if you had to add another “IoT” gadget to your life, you might scratch out your own eyes with a guitar pick. Just never use a Pixie Point for messy business, because these key-fobby, taggy doohickeys would seem to offer real utility once you investigate their various talents. Use augmented reality to hunt down your Pixie Points. Couch cushions! Argh! A package of four Pixie Points currently sells online for $40 and should ship sometime this summer. You attach the tags to anything you want to track—your wallet, your car keys, Mr. Fluffypaws—and each item immediately joins a closed, private network based on the Bluetooth Low Energy protocol. When one of your items goes missing, you can fire up your Android or iOS app to locate the errant Pixie Point with up to 1 foot accuracy. I saw the platform in action, and, yeah, it works. But here’s the really cool thing: The Pixie app has an augmented reality view that let’s you hunt down your missing things with a big, bold X marking the spot. Each Pixie Point has a maximum range of 150 feet, and the manufacturer says indoor range is typically 30 to 50 feet. The Pixie Points triangulate with each other in a closed network to establish location, so accuracy improves as you add more Points to the network. Battery life for each Point is rated at 18 months. Because each Point is a sealed, water-resistant, 47 x 35 x 3.2 mm package, you can’t replace the batteries. But at least you’ll get a warning when a Point is nearing end-of-life. Use Pixie’s iOS and Android apps to create virtual kits (left) and then find items you’ve lost via a variety of tracking interfaces (center and right). OK, so far it all sounds rather one-dimensional, right? Well, there are a few other use cases that make Pixie more intriguing. First, you can use Pixie to geo-fence cherished items. Attach it to your favorite hat, and you’ll get an alert when you’ve left that hat on a restaurant table, and you’ve exited the range of whatever zone you’ve set up. Second, you can use Pixie to create virtual kits. For instance: Attach Pixie Points to your handbag, wallet, keys, phone and charger. That’s a kit. The items know they’re close to each other, and an app view will show you if everything is present and accounted for in your bag before you whoosh out the door. The impact on you: Do we really need another Internet of Things gadget—let alone a Location of Things gadget—in our lives at this point? I know. It’s sort of getting out of hand. But for inveterate Losers of Things, Pixie may be just the right gadget at just the right time. 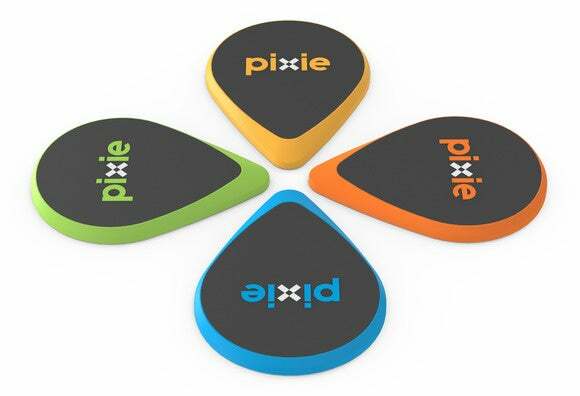 Pixie is also smaller, less expensive and more accurate than Tile, making it the de facto leader in the emerging “gadget to find your stuff” space. If that’s your thing.